However, after the first three hours of deliberation, the jury failed to reach a verdict as they were divided by 11 to 1. The foreman of the jury indicated to presiding Judge Gertel Thom that they needed further direction on the issue of self-defence. After another 20 minutes of explaining the law on self-defence, the jury returned about an hour later with its unanimous decision. Baptiste died from a single gunshot wound to the chest at Ottley Hall on March 1, 2007. Williams, in his statement, said that the deceased drew a gun and pulled the trigger, but it jammed. That was when Williams drew his weapon and shot Baptiste. In that same statement, Williams told recording officer Sergeant 222 Selwyn Jack that earlier that morning, the deceased had pulled a gun on him and said, âYuh think is alyo alone get gun.â Williams admitted that he did not answer Baptiste and went to âGaryâs shopâ where the tragic incident took place. In her summation, Justice Thom directed the jury to pay close attention to the evidence given by prosecution witness Kamarley Edwards which supported the account of what happened given by the accused. 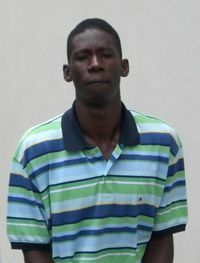 Edwards, a resident of Ottley Hall, indicated to the court that while the deceased was being lifted from the ground after being shot, he (Edwards) picked up a gun that fell from Baptisteâs pocket. Edwards then carried the gun to the area of the public bath area where Williams had run to and told him that it was the same gun that Baptiste had. Williams tried firing the gun, but it jammed and the bullets fell out. Thom said that self-defence does not require the person under attack to strike after the attacker has struck.